Over the last quarter-century, Palestinian cinema has emerged as a major artistic force on the global scene. Deeply rooted in the historic struggles for national self-determination, this cinema is the single most important artistic expression of a much-maligned people. In Dreams of a Nation, filmmakers, critics and scholars discuss the extraordinary social and artistic significance of Palestinian film. It is the only volume of its kind in any language. Hamid Dabashi is the Hagop Kevorkian Professor of Iranian Studies and Comparative Literature at Columbia University. 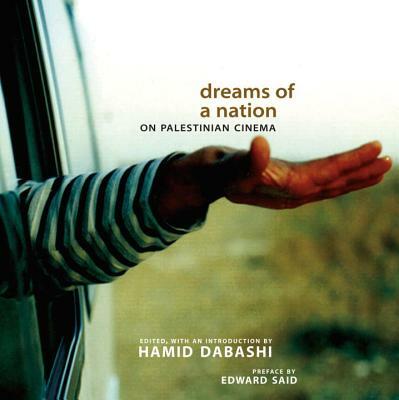 He is the founder of Dreams of a Nation: A Palestinian Film Project, committed to the preservation and dissemination of Palestinian cinema. His Close Up: Iranian Cinema: Past, Present and Future is also published by Verso. Edward W. Said (1935–2003) was University Professor of English and Comparative Literature at Columbia. A member of the American Academy of Arts and Sciences, the Royal Society of Literature and of Kings College Cambridge, his celebrated works include Orientalism, The End of the Peace Process, Power, Politics and Culture, and the memoir Out of Place. He is also the editor, with Christopher Hitchens, of Blaming the Victims, published by Verso. New Left Review published an obituary in Nov–Dec 2003.